I invoke you to follow your ideals against all the odds! Ladies and gentlemen, I have come to you again to pay my respects to those of you who are tirelessly working on self-perfection and doing everything possible to let the energies of the New Age penetrate into your world! I have come today in order to enable you to recall the epoch when many of you were embodied. And I have come today as your Knight Commander! I must remind you of the fact that there was a time when the chivalrous orders existed. And I must remind you that in that epoch, as well as at present, there were the true Knights of Spirit, ready to sacrifice their lives for the sake of the ideals. And there were those who also wore armor and participated in tournaments, but their hearts were cold and they did not conduct the Divine Truth and the true ideals to the world. At your time there are also the true Knights of Spirit, who are ready to defend their convictions in any life situation. And there are those who, under the guise of the Teaching, act to suit their own selfish ends and try to summon the flock and to guide it in accordance with their own interests. Isn’t this a very widespread situation in your society? Many people gather groups of people and try to lead them: the blind leading the blind. Today I have come to give you an impulse of faith and the true direction that you are called to follow. When you tell me that you cannot make a distinction, that you are not able to distinguish whether the leader you follow is a true or a false shepherd, you are being cunning. You always know the truth! Your hearts are the most perfect mechanism for making distinctions in your world. And when you do not listen to your heart, you start listening to your carnal mind, which will always tell you why it is more convenient and secure for you to follow someone. Now you must get a more definite concept of where the true values are and where the counterfeits are. The moon also shines. Yet it shines with the reflected light radiated by the sun. Therefore, there are those who conduct the true Divine Light to your world, and there are those who shine with the reflected light. It is as obvious as what you see while observing the moon and the sun. You are entering the New Age. And the primary quality that you are to master in the New Age is the quality of making distinctions. You do not need to attend lectures or seminars in order to master this quality. This quality is inherent in every one of you from your birth. In your childhood, all of you possessed the quality of distinguishing. But when you got into a situation where false values took hold of your world, you fell under the influence of the surrounding environment and began relying on your carnal mind and not your heart. Therefore, your task is to simply return the true values to your life. These values include the call of duty, dignity, devotion, faith, and love. I can enumerate a lot of true qualities to you, but you are very well aware of them yourself. And then, when you hide behind the false ideals and try to follow the false leaders, you always know in your heart that you are on a false path because in this case you are motivated by self-interest. You are trying to get something for yourself. No matter what it is — a good relationship, a comfortable and satisfied life, power, money, or the satisfaction of your lusts or cravings. In any case, it is always something that opposes the Divine values and the true Spirit of chivalry. I am aware that dwelling in your world makes it almost impossible to follow the true Divine values because your world consists of up to 90 percent false values. But exactly now I have come to lead those of you who are ready to unite under the banner of the Ascended Masters! Precisely now I summon you to unite under our banners as your Knight Commander! It is very easy to win a victory when the enemy is weak and few in numbers. Honor and praise to those who, being in the minority, win victories! And now I am appealing exactly to you who are ready to sacrifice the momentary benefits and to aspire to the eternal and imperishable values. I appeal to those of you who are ready to leave the world of the illusory trivialities with the glowing lights of advertisements and glittering tinsel enticing you, and to come out to the battlefield to defend the true values, which include your devotion to the Brotherhood and the Masters and your adamant faith and love! I am ready to lead those of you, ladies and gentlemen, who are not afraid to step forth in defense of your ideals before the dominantly superior forces of the adversary! Therefore, please memorize your Code of Honor, which in its first lines states that there is nothing in your illusory world that would have a higher priority and standing than God and obedience to the Divine Law. On the basis of this statement, all the rest will become clear to you and it will acquire a different meaning. And your life itself is less important than God and obedience to the Divine Law because by sacrificing your life for the sake of God, you acquire eternal Life. But following the momentary interests and passions of the illusory world, you lose your soul forever. My wish for you is that you will take the path of defending the Divine Truth. Exactly now is the time for you to manifest your determination and your convictions before the face of the illusory forces that shamelessly laugh in your face. They do not believe that there still are people for whom the priority task of life is following the ideals. I invoke you to follow your ideals against all the odds! This is called the true Spirit of chivalry! This is called immortality! I invoke you to enter the eternal Life! I summon you to follow me — your Knight Commander! We will in dignity enter the New Age — the Age of Aquarius! 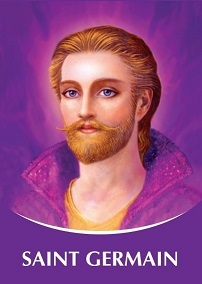 Dictations of Saint Germain in the book "SAINT GERMAIN"
The "Words of Wisdom" series continues with the Messages of Master Saint Germain. 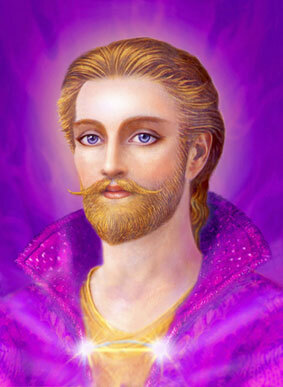 The Messages of Master Saint Germain are charged with optimism and faith in the forthcoming Golden Age!